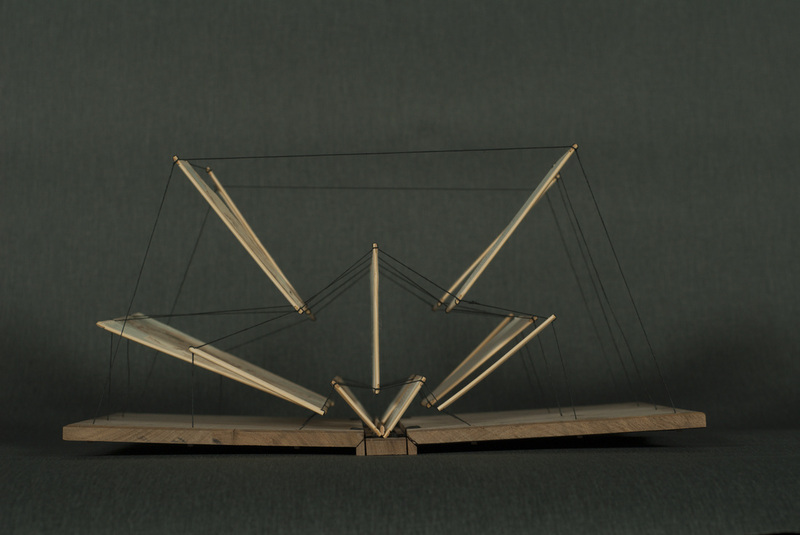 This work is a tribute to architect, inventor, futurist, and New Englander, R. Buckminster Fuller, who spent his youth in Massachusetts and Maine. 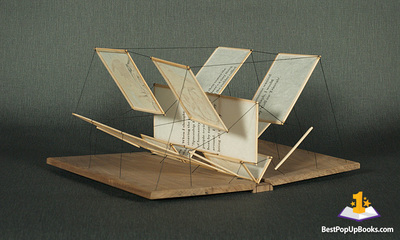 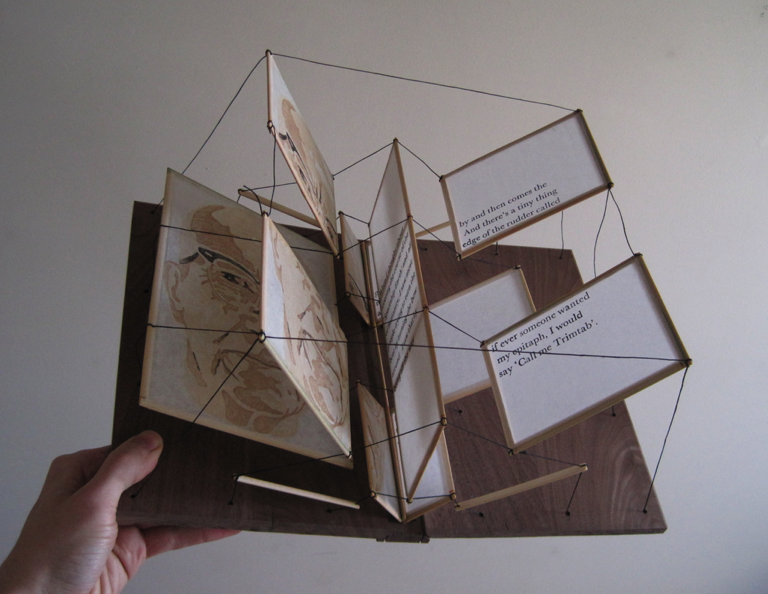 Structurally, the book is an allusion to Fuller’s “tensional integrity” structures, such as his famous geodesic sphere known as the “Bucky Ball.” When the book is fully opened the bamboo spars and linen cords unfurl the pages in a balance between tension and compression. 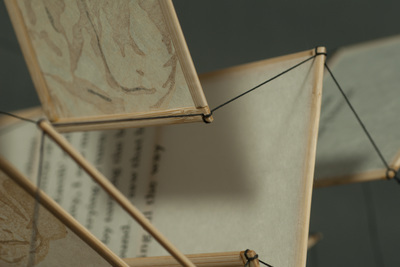 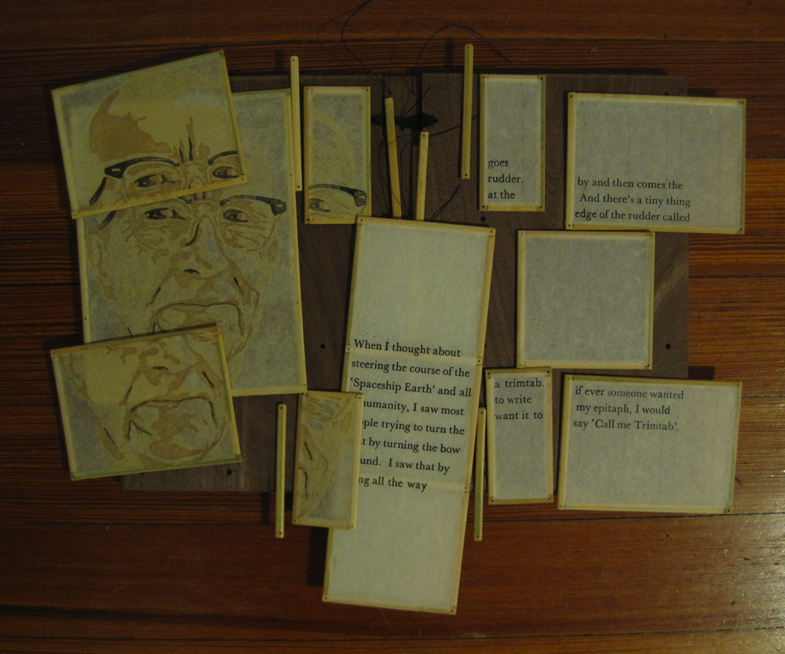 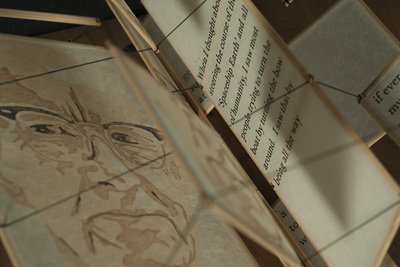 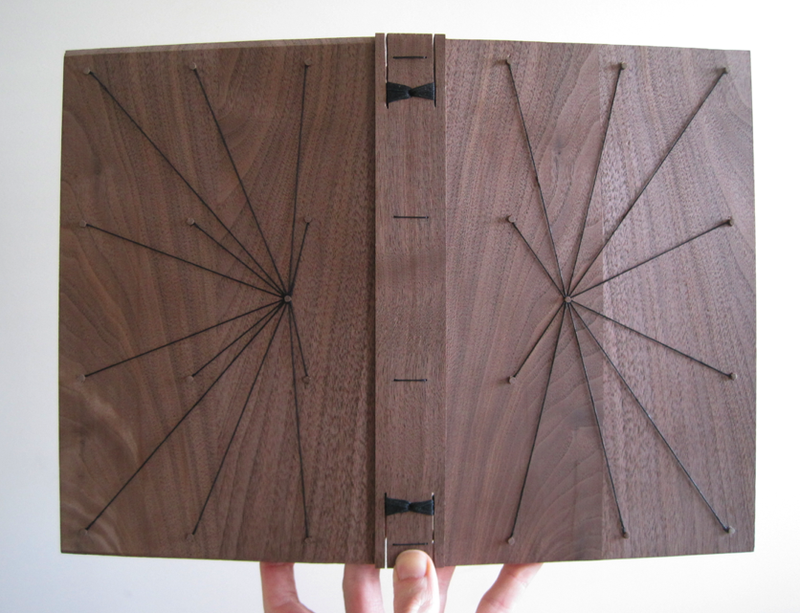 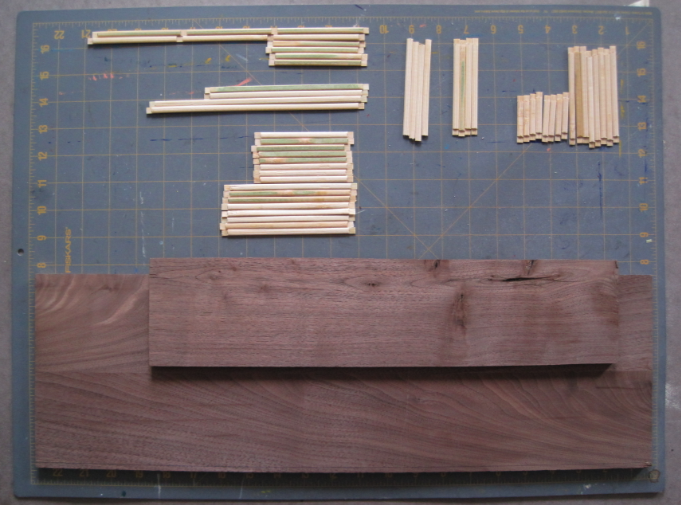 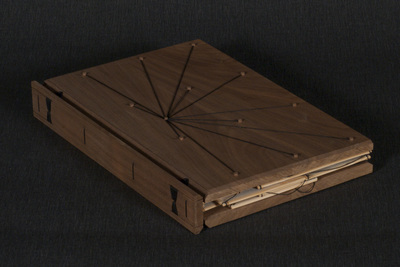 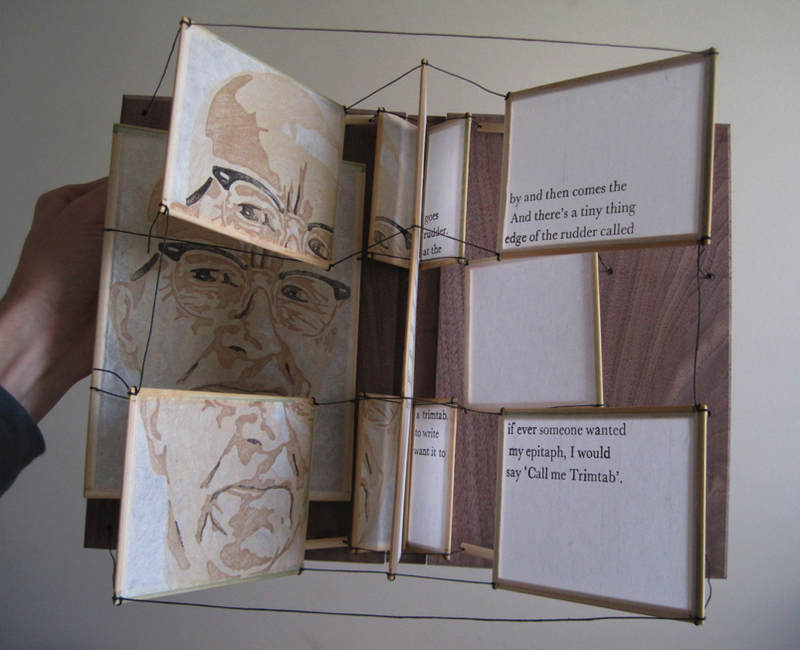 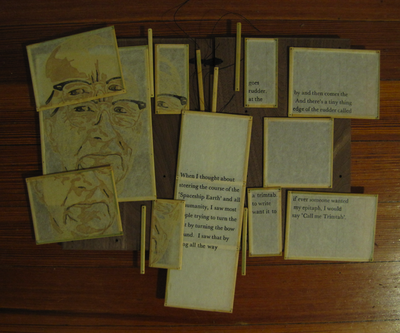 Materials include black walnut wood, bamboo, linen thread, and kozo paper.